Founded in 1911, ASSE is the oldest and largest professional safety organization. Its 33,000 members manage, supervise and consult on safety, health, and environmental issues in industry, insurance, government and education. This site provides information on chapter and section services, educational opportunities, practice specialties, safety standards, and publications. 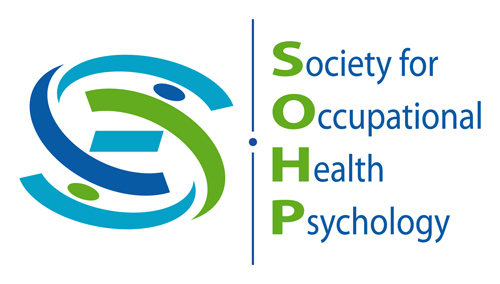 European Academy of Occupational Health Psychology (EA-OHP) focuses on applying technology to improve people’s working lives. The Society’s mission is to promote the discovery and exchange of knowledge concerning the characteristics of human beings that are applicable to the design of systems and devices of all kinds. The Society furthers serious consideration of knowledge about the assignment of appropriate functions for humans and machines. It advocates the systematic use of such knowledge to achieve compatibility in the design of interactive systems of people, machines, and environments to ensure their effectiveness, safety, and ease of performance. The ICG-OHP promotes global cooperation in the development of research, professional practice and education in OHP. OBM Network is a non-profit organization dedicated to disseminating organizational behavior management techniques to improve productivity, safety, health, and other organizationally relevant issues. The Society for Industrial and Organizational Psychology is a Division of the American Psychological Association that is also an organizational affiliate of APS (Association for Psychological Science). The Society’s goal is to promote human welfare through the various applications of psychology to all types of organizations providing goods and services, such as manufacturing concerns, commercial enterprises, labor unions or trade associations, and public agencies. The purposes of the Society are scientific, professional, and educational and not for financial gain. Industrial hygienists are scientists and engineers committed to protecting the health and safety of people in the workplace and the community. A professional industrial hygienist is a person possessing either a baccalaureate degree in engineering, chemistry, or physics or a baccalaureate degree in a closely related biological or physical science from an accredited college or university, who also has a minimum of three years of industrial hygiene experience. ICOH-WOPS aims to promote awareness, research and education, to disseminate good practices, and to influence policy development in the area of work organization and psychosocial factors. Psychosocial factors concern aspects of work organization, design and management. If managed well they can lead to individual, organizational and societal well-being and sustainability. However, in the opposite scenario, they may have negative impact at these three levels. .